Rio de Janeiro is home to the Maracanã Stadium, one of the most famous in the world and at one time the largest of its kind which in its day could hold a capacity crowd of close to 200,000. 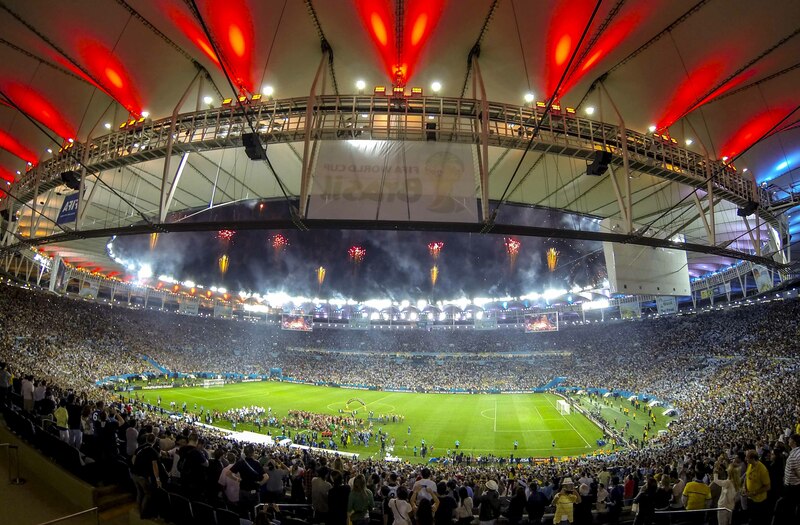 Today, after its total refurbishment for the 2014 FIFA World Cup and the 2016 Olympics, the capacity of the Maracanã is restricted to around 78,000. It is one of a handful of stadium to host both the World Cup and the Olympics. The original stadium was built for the 1950 World Cup and inaugurated on June 16 of that year, its capacity was only tested once when an estimated crowd of 199,854 people turned up on July 16, 1950, to see Brazil lose 2 – 1 to Uruguay in the finals of the 1950 competition. 39 years later to the day, on July 16, 1989, 148,000 returned to Maracanã to see Brazil gain its revenge by beating Uruguay 1 – 0 to win the South American Championship. For the 2014 World Cup the stadium was almost totally rebuilt, although it kept its iconic shape and outer wall. 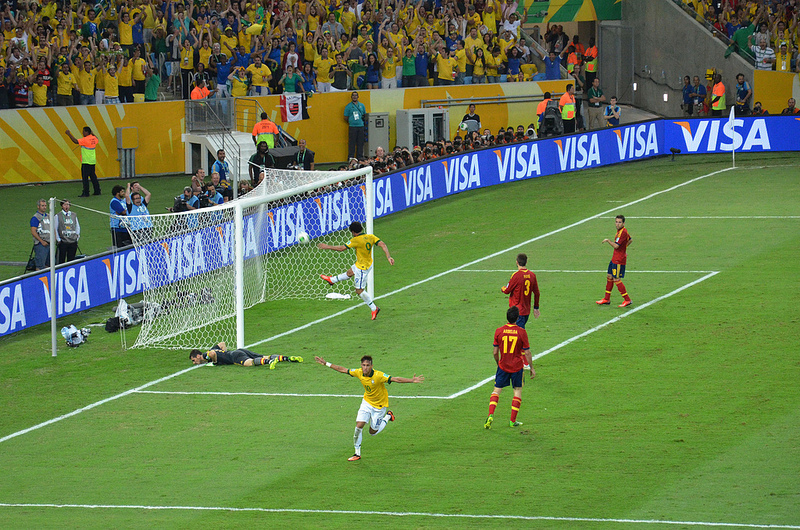 In the “new” stadium Brazil beat Spain 3-0 in the final of the Confederations Cup on June 30, 2013. Ironically Brazil did not get to play in the Maracanã in the 2014 World Cup, although the stadium did host the most games, seven, including the final on July 13, 2014 when Germany defeated Argentina 1-0 in extra time. 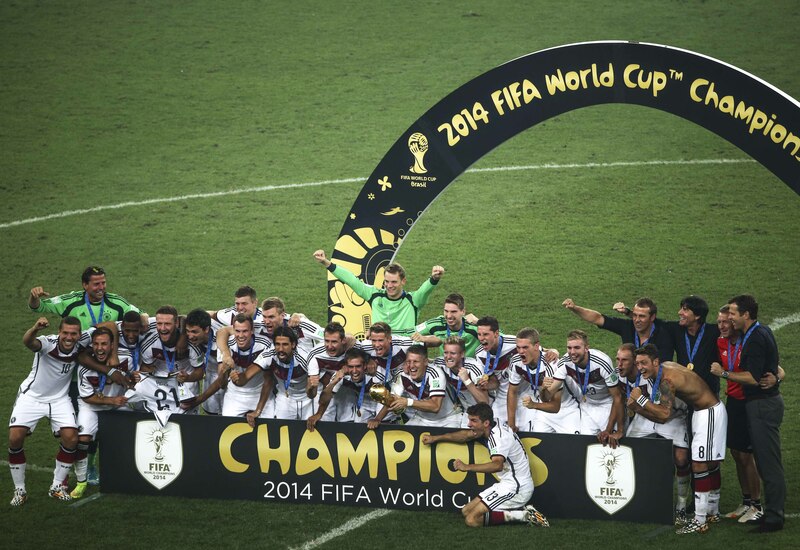 Maracaña hosted the opening and closing of the 2016 Olympic games as well as some of the football games including the final when Brazil finally won Olympic gold, beating Germany in the final. Brazil’s senior team has played over one hundred times at the stadium and only lost on six occasions. Pelé is the top goal scorer for the Brazilian national team at the Maracanã, scoring 30 goals in 22 games. Pelé also famously scored his one-thousandth-career goal at the stadium during a game between Santos and Vasco on November 19, 1969. 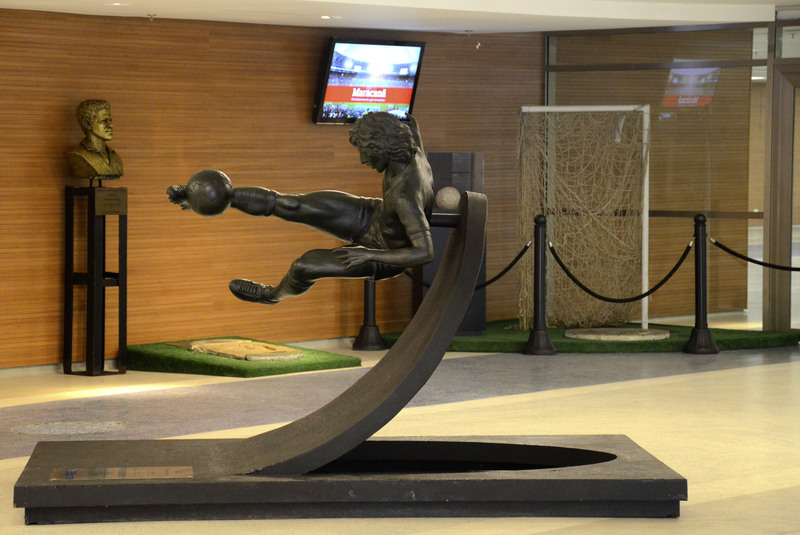 The all time leading goal scorer in the Maracanã, however, is Zico who scored 333 goals in the stadium for Flamengo and Brazil, including six in one game. Although the 1950 final is considered to have been the stadium’s largest crowd, the official figure for that day was only 173,850, a figure that has been officially surpassed on four occasions, most notable the game between Brazil and Paraguay on August 31, 1969 when 183,341 were present. Crowds of over 100,000 were still far from rare at the Maracanã, particularly when it was a classic between two local Rio teams such as Flamengo and Vasco. Football is not the only attraction to bring crowds to Maracanã. 140,000 turned out to see Frank Sinatra perform on January 21, 1980, a fact that was recorded in the Guinness Book of Records as the largest paying crowd ever for a single artist. Sinatra’s record was finally beaten by another performer at the Maracanã, Paul McCartney, who played a couple of memorable concerts during his 1990 world tour attracting a crowd in excess of 184,000 which is listed in the Guinness Book of Record as the largest “paying” public for a “single” act. McCartney’s record-breaking show took place on Saturday, April 21, 1990. Sinatra and McCartney have been followed by Sting, Tina Turner, Kiss, A-ha, George Michael, Prince, Guns N’ Roses, Inxs, Rolling Stones, The Police, Roger Waters, Foo Fighters, Pearl Jam, Rush, Coldplay, Backstreet Boys, Madonna and the Pope no less, Pope John Paul II holding services in the stadium in 1980 and 1997. 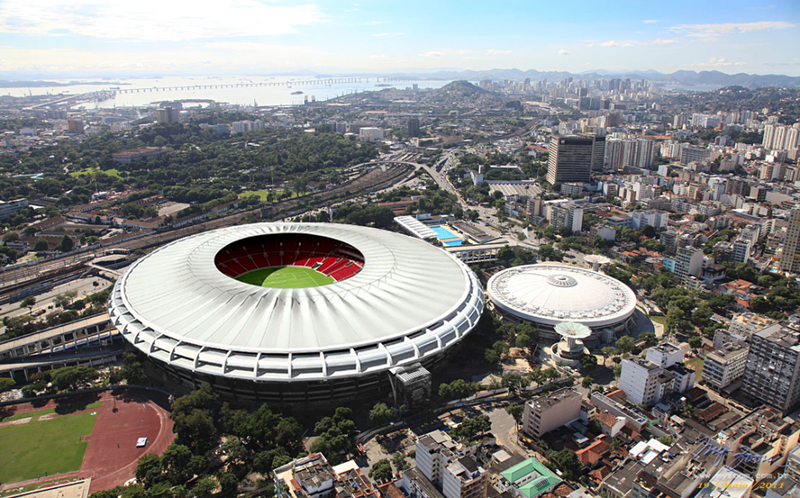 Major Brazilian artists to fill the stadium include Roberto Carlos, Ivete Sangalo, Xuxa, Sandy & Junior. and Father Chrstmas. The stadium also hosted the second Rock in Rio in January 1991. If you are any sort of sport or music fan, Maracanã has to be visited. The week’s most important soccer game is normally played on Sunday afternoon, kicking off at around 5pm, but if you don’t like crowds you can visit the stadium during the week. Maracanã has an excellent tour that operates Monday through Friday from 9am to 5pm and entry is by Rampa A on the west side of the stadium, close to the metro station. Inside the stadium you can see a small, but interesting, sports’ museum and travel up in an elevator to see the view from the Presidential Box. The rest of the one hour tour, which normally includes the playing field and changing rooms, will depend on what is scheduled for the stadium on the day of your visit. The best way to reach Maracanã is by metro or by car or taxi, and the stadium is well sign posted.